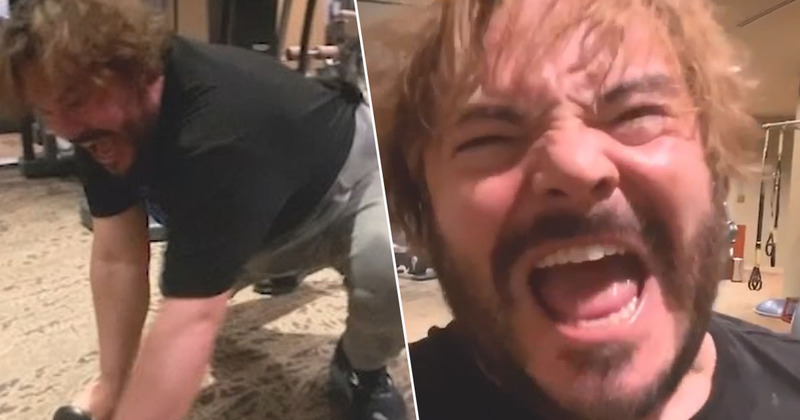 Jack of all trades, Jack Black, never fails to make us laugh, but his most recent Instagram video really is pure comedy gold. A couple of weeks ago (February 14) Thor himself, Chris Hemsworth, shared a video on the social media platform of an intense workout he was doing in the gym. Feeling inspired, two days ago (February 26) Black, who is currently preparing to film the sequel to 2017’s box office hit Jumanji: Welcome to the Jungle, decided to attempt the same routine Hemsworth did. The actor recreated the entire workout move for move, and to be honest the only difference was Black used much, much smaller weights. But he even did the big kick at the end, aiming it at a medicine ball instead of a boxing bag. The result really is hilarious, and when Jack tells the camera ‘that’s how we do it’ right at the very end, I want to laugh out loud. Mixing it up. Get creative. Keep moving. Variety is key! Who did it better? Of course the video quickly went viral, and has received an astonishing 2,100,000 views at time of writing (February 28). Hemsworth himself even shared it on his Instagram writing ‘the student has become the master’. Black recently revealed he would love to play famous Batman villain The Penguin, a role Danny DeVito took on and owned in the 1992 film Batman Returns. Since then no one else has taken on the role on the big screen, but Black would be keen to. Is there talk of me as the Penguin? Are we starting it? Uh, yeah, that would be a role, that would be fun. I mean, I hate to put myself out there and say that because then when I don’t get that part, it was, ‘Oh, Jack tried to get the thing.’ I didn’t try anything! I’m just saying maybe that would be good.